SUPER CUTE & COZY! Look at this 2-bedroom home conveniently located on main street in the quiet town of Legal. This 844 sq. 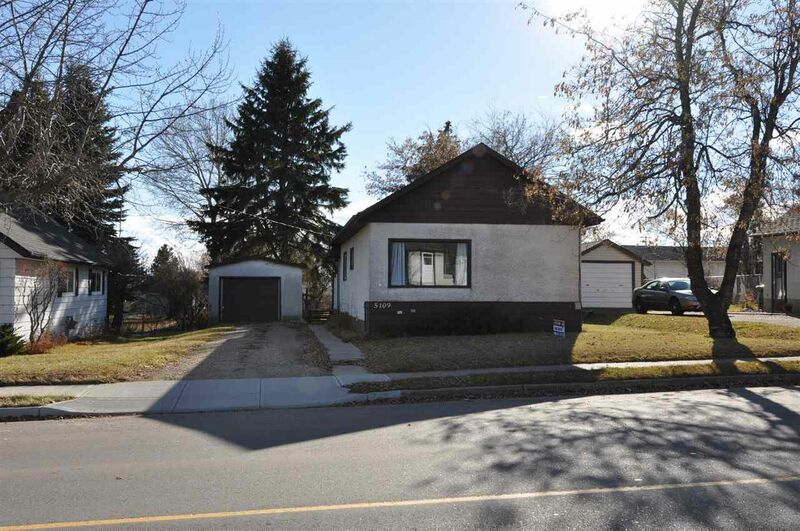 ft. renovated bungalow with upgraded plumbing and electrical, boasts a bright eat in kitchen that features updated cabinets, newer appliances, paint backsplash and countertops. Just off the kitchen, you'll find a spacious master bedroom, updated 4pc bath, a cozy junior bedroom and a warm and inviting living room. Downstairs is a partial basement that's home to the laundry area and loads of storage space! Outside you'll find a large 50' x 148' lot with front & back lane access as well as a single detached garage. This little gem is fantastically located close to all the town’s amenities!! Ideal home for the first-time buyer or investor. Fantastically priced!! Come see it before its gone! LISTING YOUR HOME? So let's Getz started... 1st call me... then GETZ IT LISTED! GETZ IT SOLD!